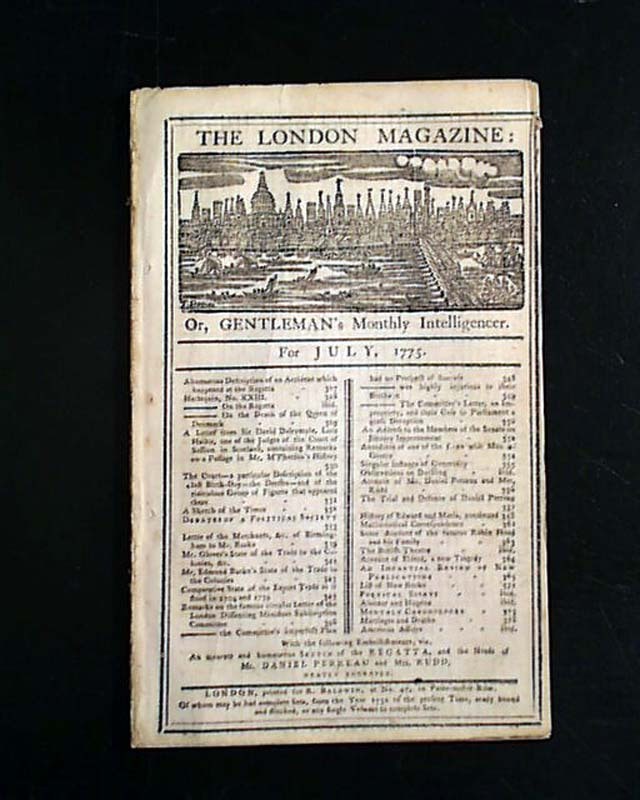 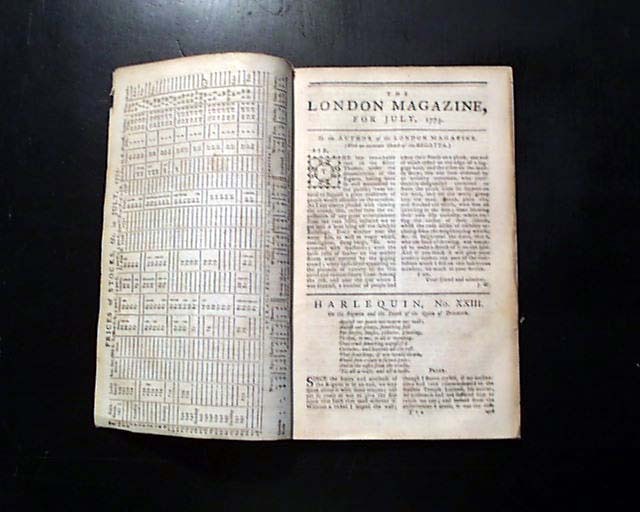 THE LONDON MAGAZINE, England, July, 1775 Although there is other good American content here, near the back has a great account of the very historic Battle of Bunker Hill signed in type: Tho. 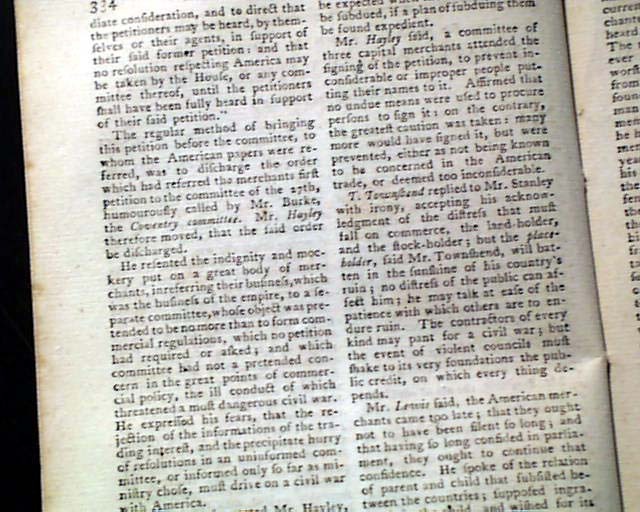 Gage, which overshadows all else. 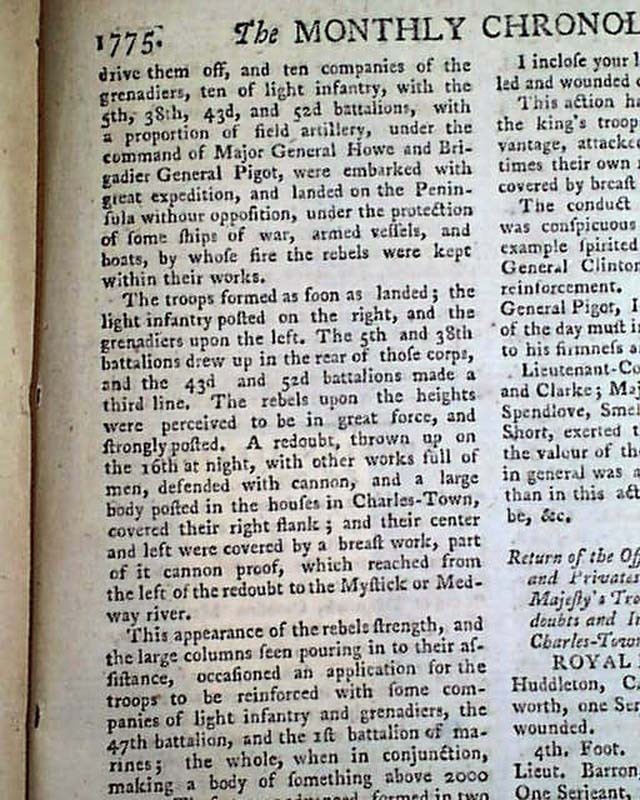 This report takes nearly an entire page and begins: "I am to acquaint your Lordship of an action that happened on the 17th of June instant between his Majesty's troops and a large body of the rebel forces. 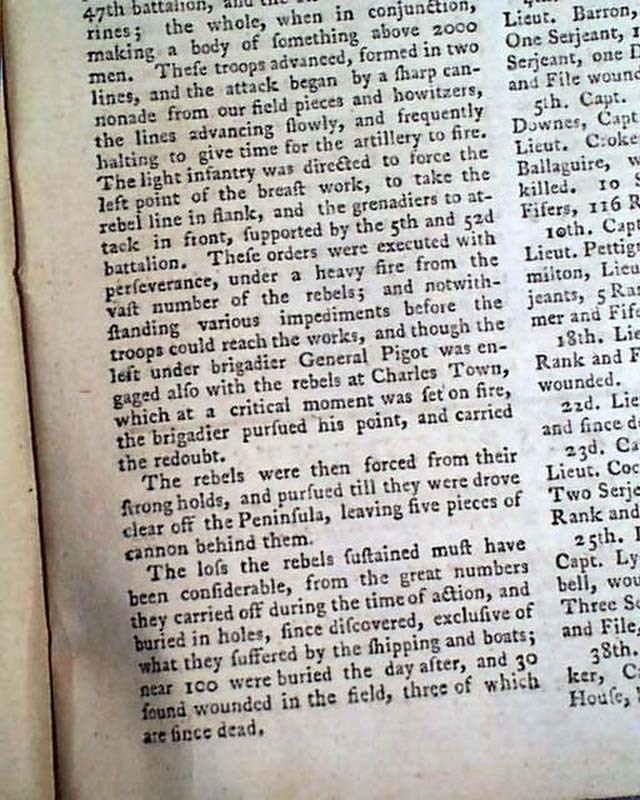 An alarm was given at break of day on the 17th...troops advanced, formed in two lines, ad the attack began by a sharp cannonade from our field pieces and howitzers, the lines advancing slowly...The light infantry was directed to force the left point of the breast work, to take the rebel line in flank...These orders were executed with perseverance, under a heavy fire from the vast number of the rebels...The loss the rebels sustained must have been considerable from the great numbers they carried off during the time of action & buried in holes..." with much further particulars (see). 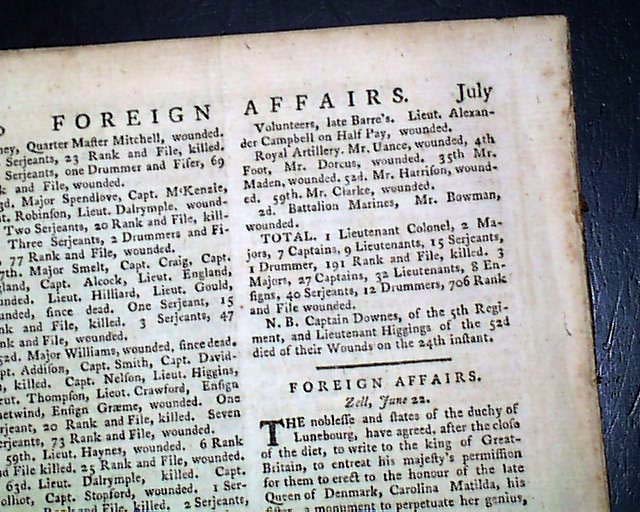 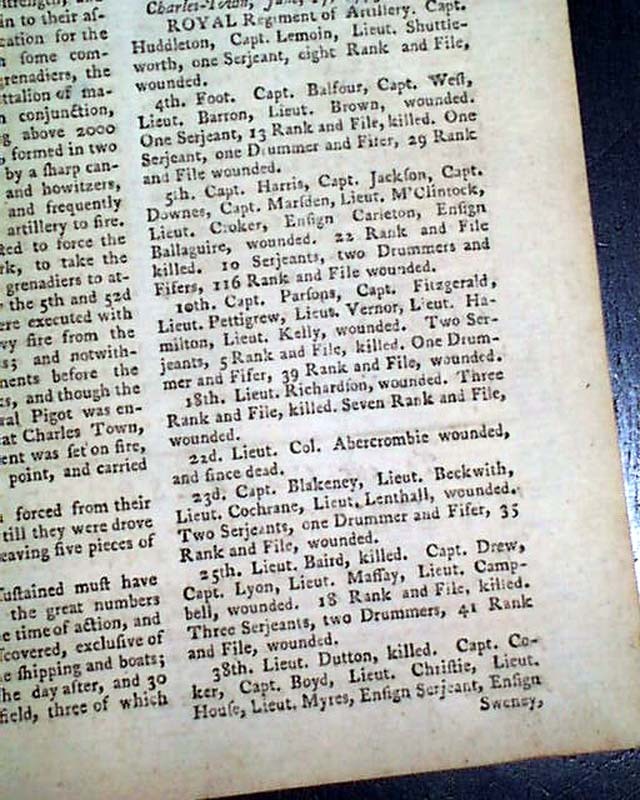 Included is a list of the: "Return of the Officers, Non-Commission Officers & Privates killed and wounded of his Majesty's Troops...June 17, 775" which carries over to the back page. 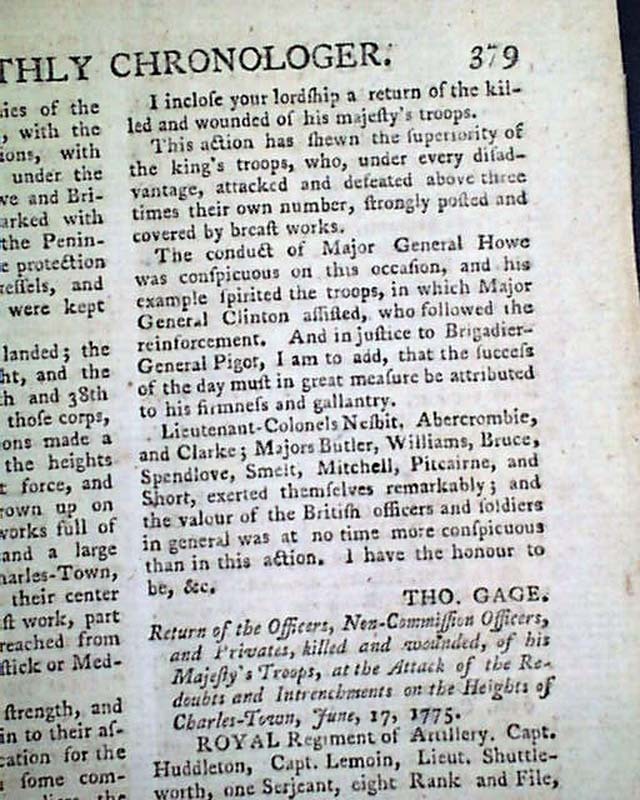 A very fine account and great to have from the hand of Thomas Gage. 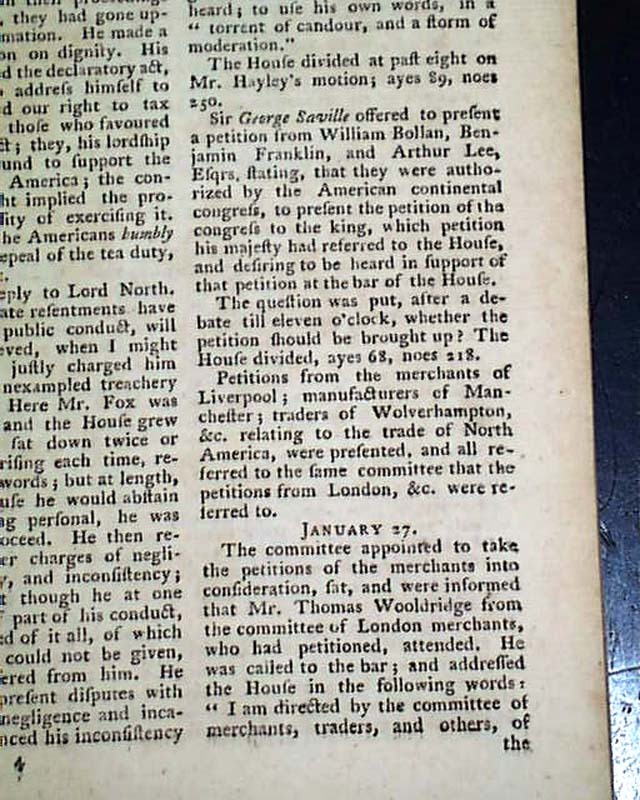 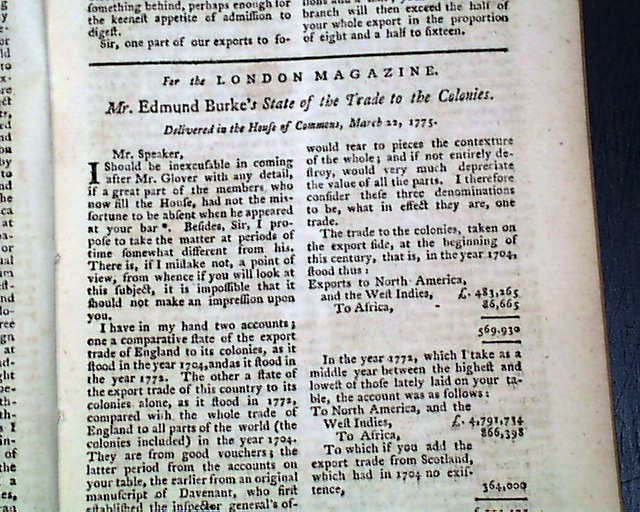 Elsewhere is much talk concerning the troubles between England and the colonies (see for portions) including a bit: "...Sir George Saville offered to present a petition from William Bollan, Benjamin Franklin, and Arthur Lee stating that they were authorized by the American continental congress to present the petition of the congress to the king...". 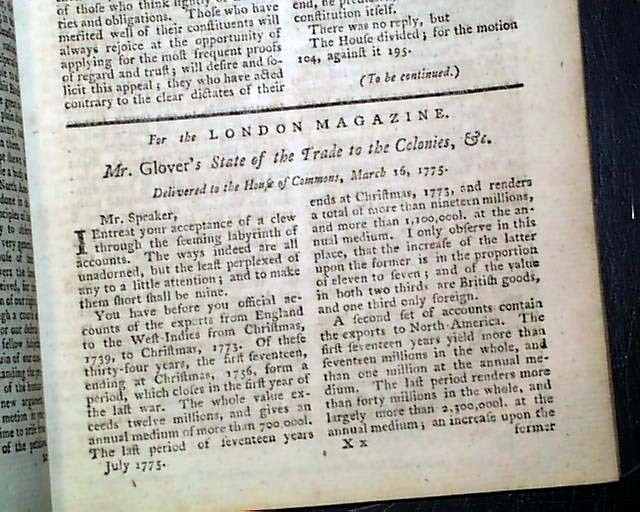 There is also: "Mr. Glover's State of the Trade to the Colonies" as well as: "Mr. Edmund Burske's State of the Trade to the Colonies". 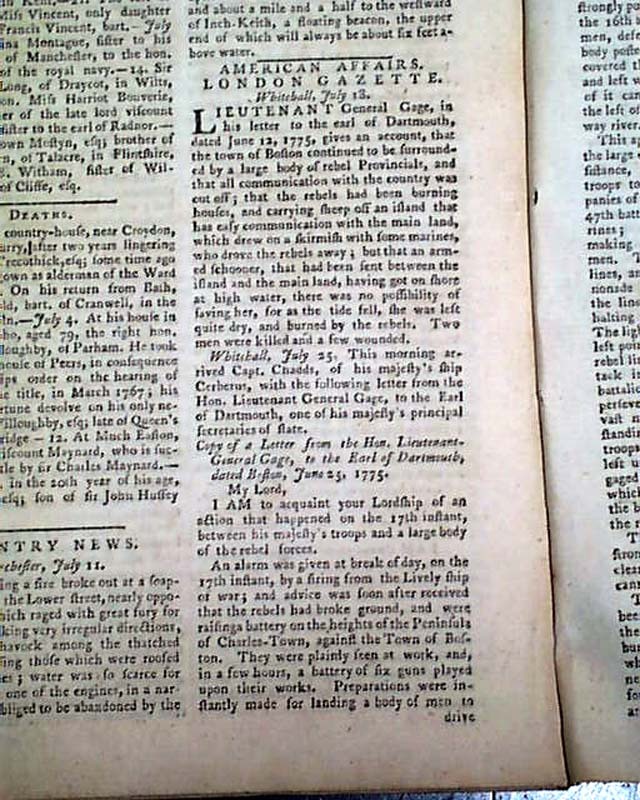 Complete in 56 pages, 5 by 8 1/4 inches, very nice condition. 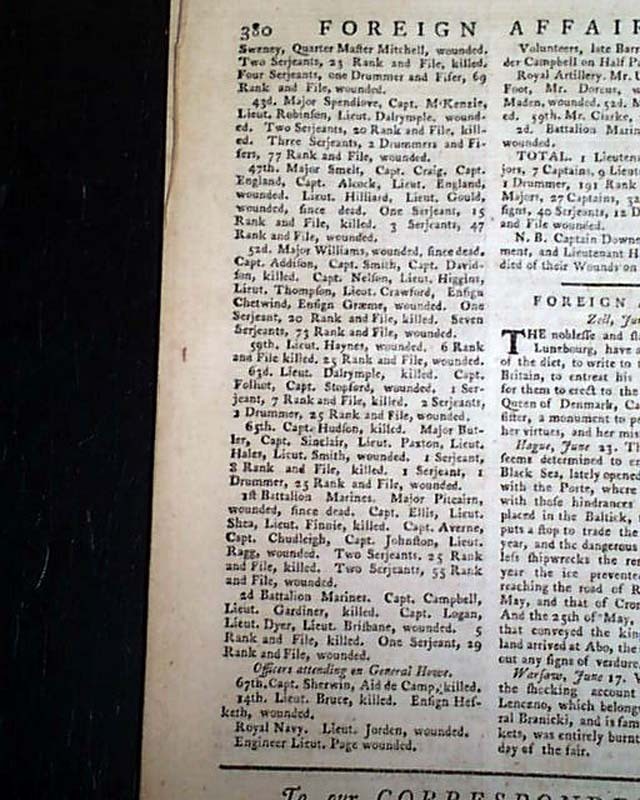 Both plates called for are lacking, neither relating to America.